A unique artistic homage to Chinese traditions and a display of mechanical virtuosity. 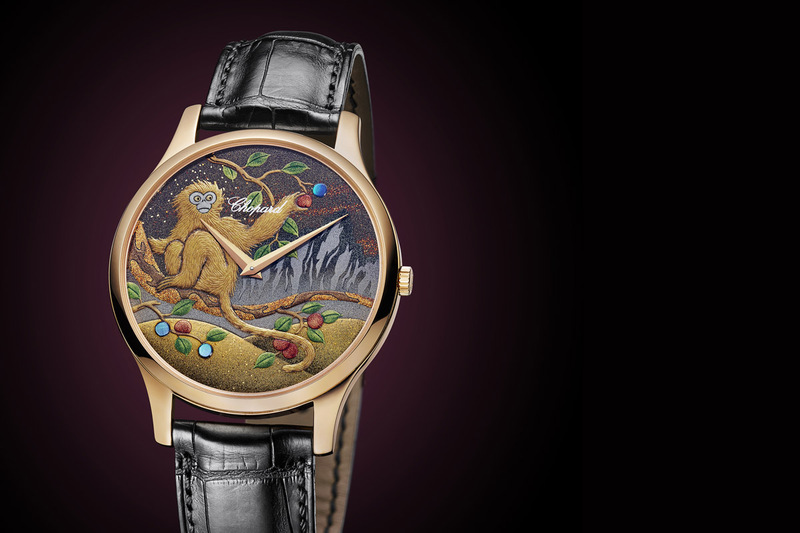 Since 2010, Chopard has released a menagerie of beautifully crafted Urushi dials to celebrate the animals of the Chinese zodiac. At the end of 2017, Chopard decided to regale collectors with a superlative one-off piece. 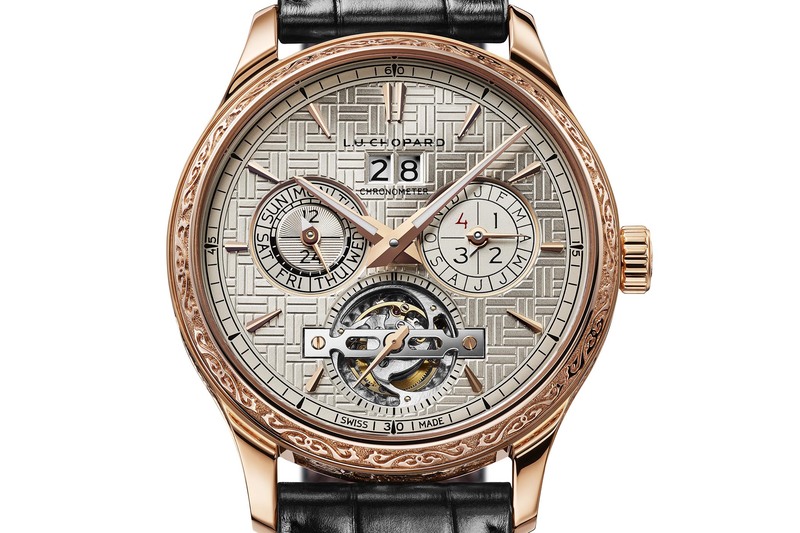 Not only did it congregate all 12 animals of the Chinese Zodiac, hand-engraved on the sides of the case, but the L.U.C Perpetual T Spirit was also equipped with a perpetual calendar and a tourbillon. 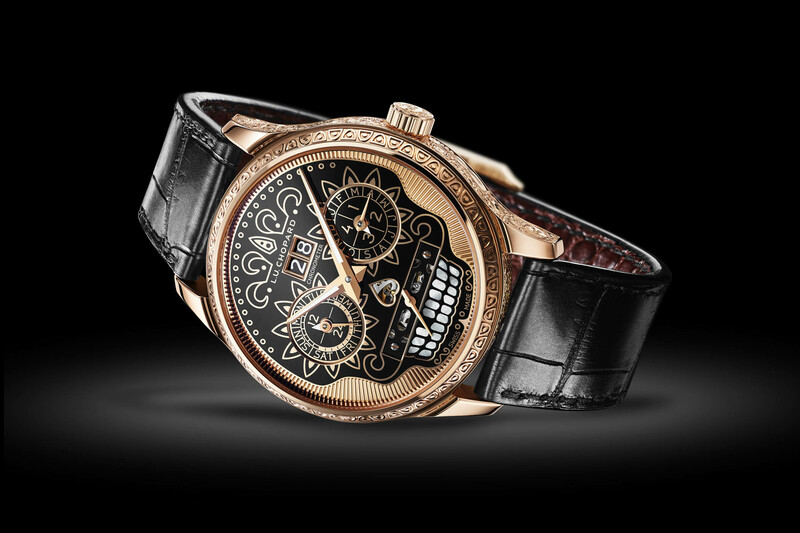 A similar collector’s edition, decorated with motifs of Mexico’s Day of the Dead celebrations was presented during the SIAR and sold in six minutes flat. 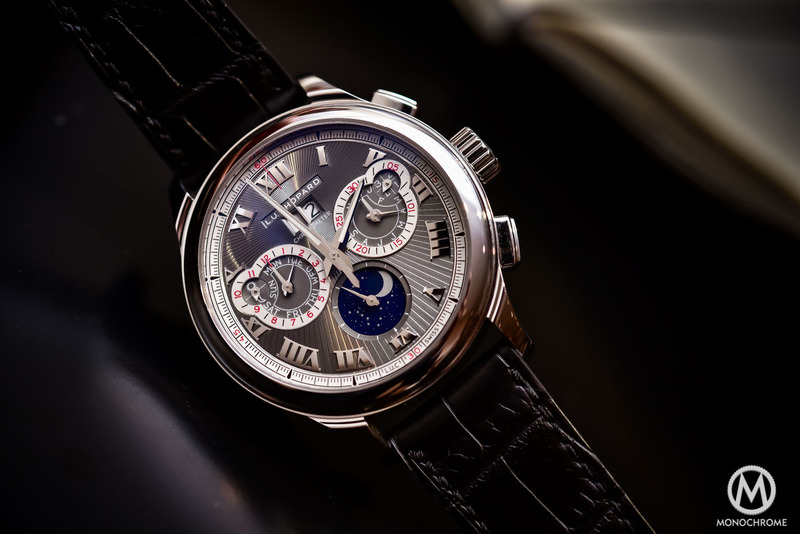 For 2019, which coincides with the Year of the Pig, Chopard repeats the formula and unveils its latest homage to Chinese cultural traditions with this unique L.U.C masterpiece. Earlier this year during Baselworld, Chopard made a courageous commitment to use 100% ethical gold in its jewellery and watch creations by July 2018. Ethical gold is defined by Chopard “as gold acquired from responsible sources, verified as having met international best practice environmental and social standards”. Naturally, the L.U.C. Perpetual T Spirit adheres to the brand’s commitment and the large 43mm case is crafted in 18k ethical rose gold. 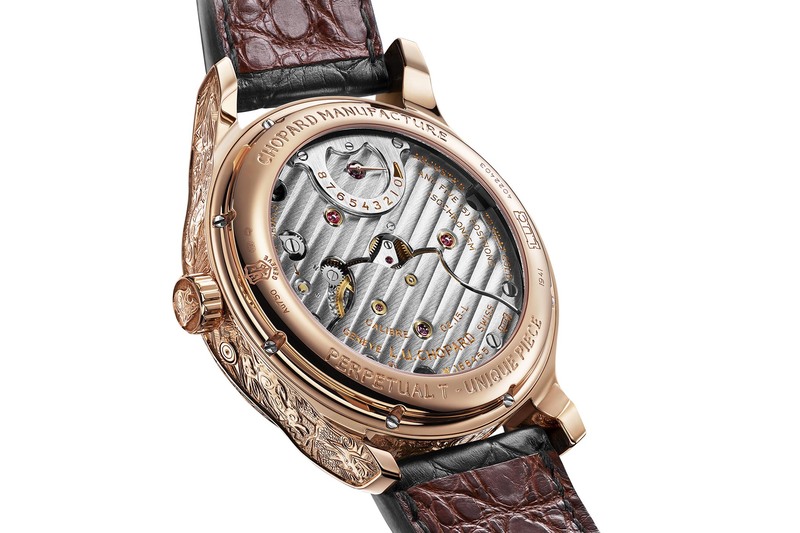 With its 15.02mm thick case middle, Chopard’s gifted artisans – Mains d’Art – have gone to town hand-engraving the 12 animals using champlevé engraving in which tiny cavities (a bit like a honeycomb) are hollowed out in the gold leaving the raised areas to interpret the design. The workmanship is extraordinary and the artisan involved in the engravings spent more than 210 hours bringing the animals to life on the sides of the case. If you look closely, you will see how the interpretation of the animals is both contemporary and extremely dynamic. The animals are arranged chronologically, in the same order they succeed one another in the Chinese zodiac (rat, ox, tiger, rabbit, dragon, snake, horse, goat, monkey, rooster, dog, pig). The tiger’s head appears on the diminutive surface of the crown while the sinuous contours of the dragon and snake are engraved in the area between the lugs. The artisan’s interpretation of the animals is contemporary and dynamic. 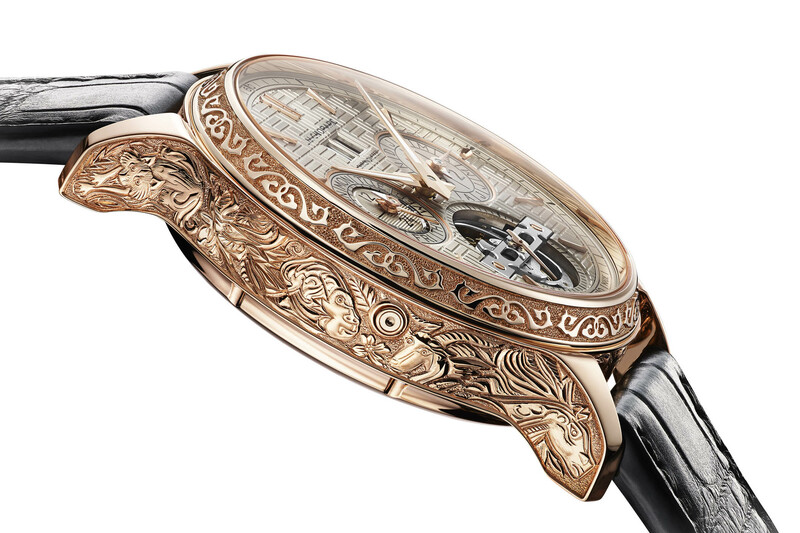 Moving up from the elaborately carved middle case, the bezel is also engraved with graceful oriental volutes. 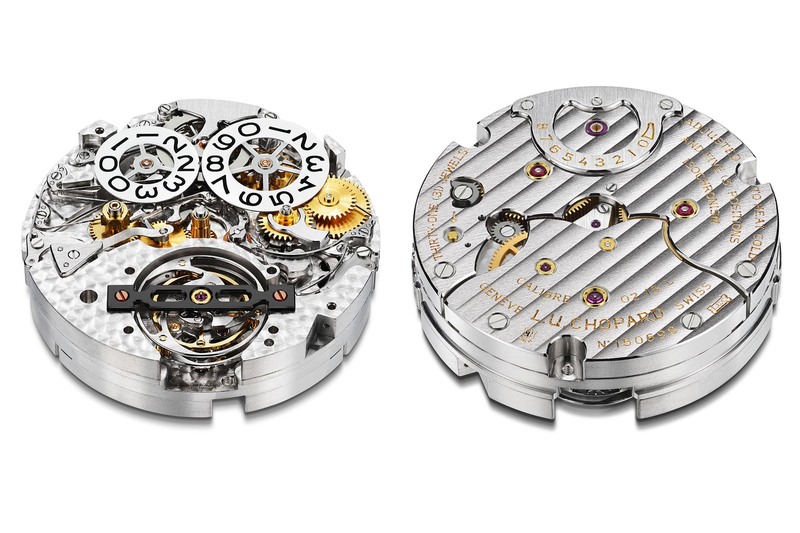 In fact, the only surfaces left untouched are the front, underside and tips of the lugs and the caseback. 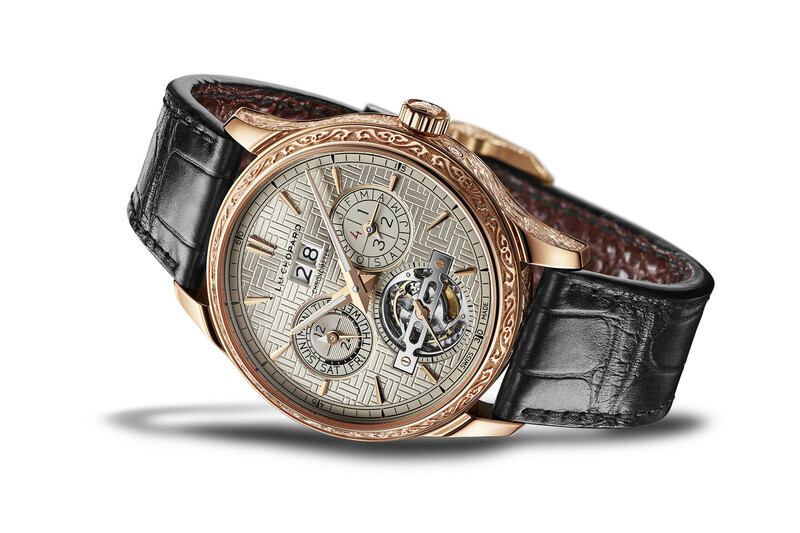 The solid 18k gold dial is also ornately decorated with a labyrinth of geometric shapes carved by hand and inspired by traditional ornamental motifs found on Chinese temples. Against this opulent background, Chopard has introduced the perpetual calendar displays with a twin aperture for the big date just below 12 o’clock, the days of the week and 24-hour indicator in a snailed counter on the left side of the dial complemented by a counter on the right with the months and leap year indication. The one-minute tourbillon – which doubles up as a small seconds counter – is located at 6 o’clock and is held in place by the distinctive blackened stainless steel bridge. 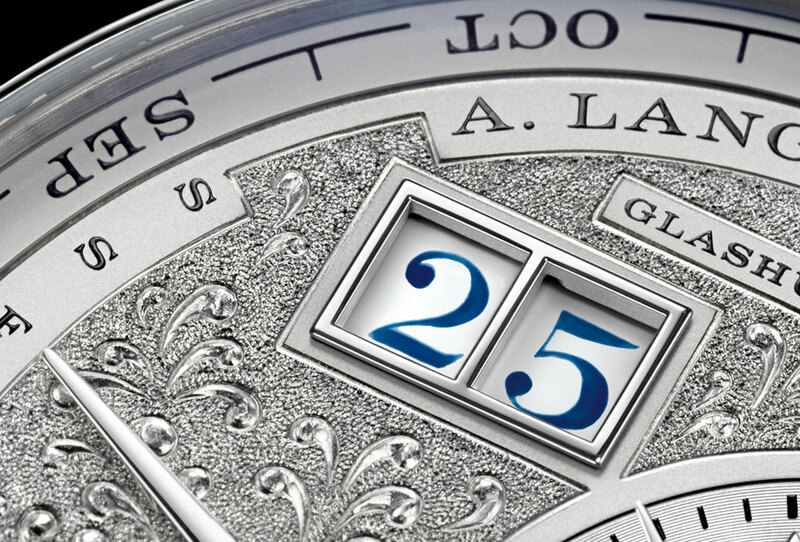 To enhance legibility, the gilded Dauphine hands are treated with luminescence and the 24-hour and leap year indicators are picked out in white. You can be assured that there is as much going on in the movement department as there is on the case and dial of this one-off collector’s watch. 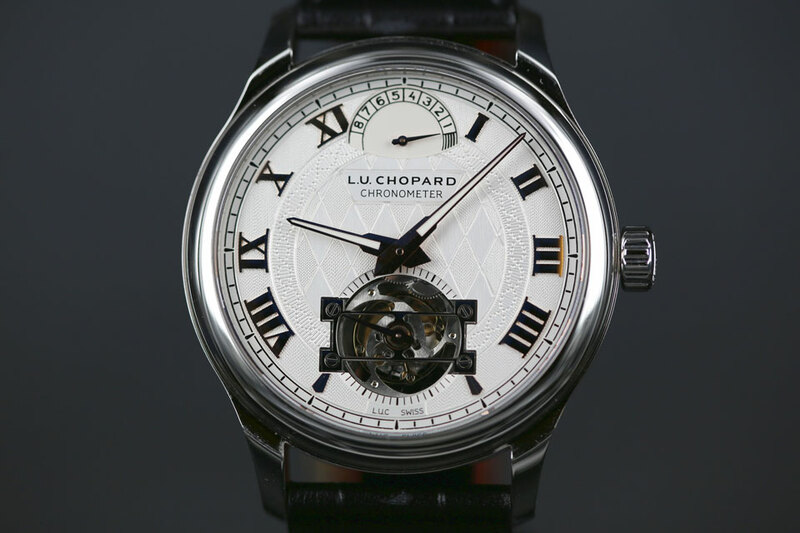 Chopard’s mechanical hand-wound calibre comprises 353 components and has a diameter of 33mm. On view behind the exhibition caseback, the first thing you will notice is the power reserve indicator, letting you know when the watch’s beefy nine-day (216.hour) power reserve is winding down. Thanks to four barrels of the Quattro system, the amount of energy stored inside this complicated watch is remarkable. The mainplate is decorated with thick Geneva stripes and reveals very little of the moving parts, but the bridges are bevelled and the polished screws and jewel countersinks attest to the hand-finishing of this top-of-the-line L.U.C watch. 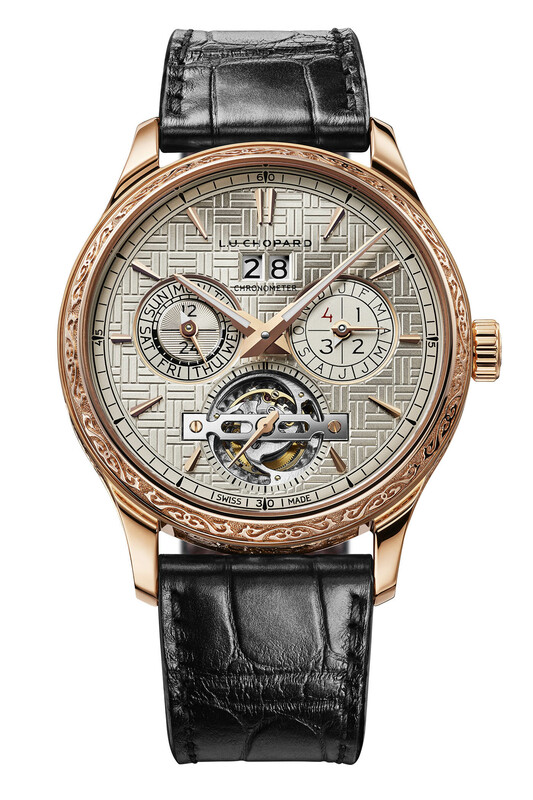 Both chronometer-certified by the COSC and awarded the Poinçon de Genève hallmark, the L.U.C Perpetual T Spirit of the Chinese Zodiac is a unique edition. 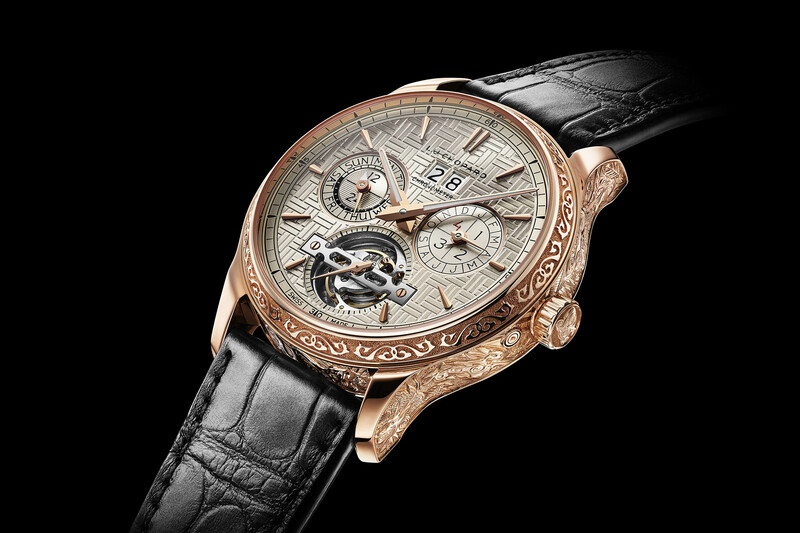 Presented on a hand-sewn black alligator leather strap with a brown alligator lining, the rose gold pin buckle is also engraved with similar motifs found on the bezel. Price is only available on request. For more information, please consult www.chopard.com.